The longhorned tick, also known as the east Asian tick, has been found in two New Jersey counties in recent months. Ida Siegal reports. As if the tri-state's tick problem wasn't already bad enough: officials said an exotic species of the bloodsucker that mysteriously popped up in New Jersey last fall has survived the winter. Longhorned ticks have been found in Hunterdon and Union counties this spring, months after New Jersey Department of Agriculture officials said the species native to east Asia was found latched onto a sheep at a farm. In the most recent sighting, the tick that had never before been found in America was in the wild, snacking on a white-tail deer. Officials said the tick, which normally can be found in warmer habitats, may have become established in the state. Agriculture Department and Rutgers University officials are working to eradicate the species in the areas where they have been found. 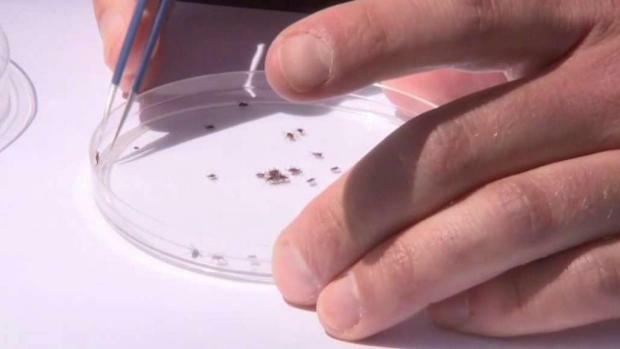 But experts told NBC's "Today" the tick -- also called the east Asian tick and bush tick -- will likely continue to spread throughout the region. "I would be surprised if it does not spread out of New Jersey quickly," said James Lok, a professor of parisitology at the University of Pennsylvania. Longhorned tick females can reproduce on their own, officials told "Today." And unlike common deer ticks, they're not picky about what they latch onto at any stage of life. The Agriculture Department said in a news release that the ticks are a serious pest to livestock, wildlife, pets and humans and can spread diseases to humans and animals. They're particularly dangerous to cattle because they transmit a disease called Theileriosis, which can cause severe anemia or death. 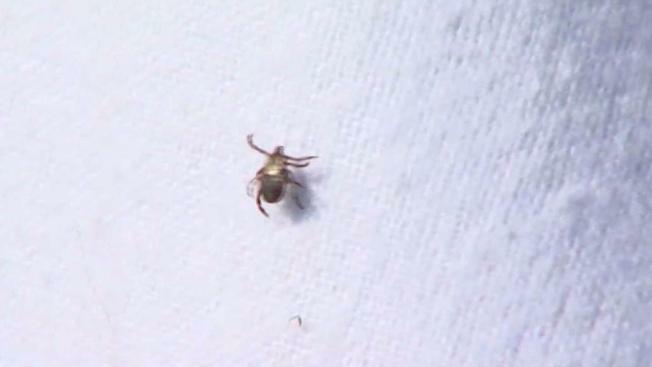 Officials said it is not clear whether longhorned ticks could spread tickborne illnesses common to New Jersey. But Lok told "Today" there is evidence the species can transmit Lyme disease.